When it comes to Highlands real estate there are obstacles that can get in the way of closing. Some of these obstacles delay a closing and others derail a closing completely. Being aware of what can happen may help you avoid pitfalls and help you get to the closing table in a smoother, less stressful manner. 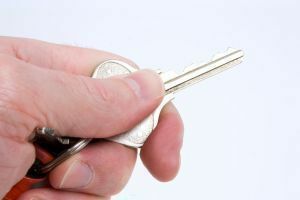 Your Highlands REALTOR will be an invaluable asset in helping you get the keys to your new home. What can get in the way of your Highlands NC real estate transaction? Common issues include appraisals and inspections. Emotions run high during the sale of a home. When it comes to a home inspection often a seller can be blind, seeing his home as perfect and available as-is when a buyer simply wants to make sure the home is in top notch condition. Typically everything on an inspection checklist that comes back in need of repair can be fixed or money can be available at closing to do so. Of course if a compromise cannot be made the deal may fall through. In the case of an appraisal, a low appraisal can get in the way of financing. No lender wants to loan for more than a property is worth. In this case a seller can come down in price, a buyer can come to the table with more cash, or the deal can fall apart. Whether a transaction falls apart or not it is possible that the process will be drawn out when issues arise. Contact our team at Berkshire Hathaway HomeServices Meadows Mountain Realty today to learn more about buying and selling homes in Highlands NC. We welcome the opportunity to update you on current market conditions while getting you familiar with recent sales and current listings. Let our knowledge and experience serve as your guide to Highlands real estate. Click here to read “The Biggest Roadblocks to Closing” from REALTOR Magazine.